I’ve long been fascinated by places of pilgrimage, about the spirit of a place that inspires ordinary people to leave the familiar and embark upon an arduous quest. 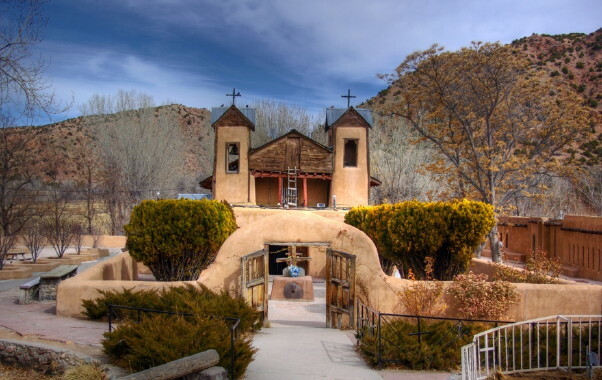 One such place is El Santuario de Chimayo in New Mexico. I’ve wanted to visit it for a long time. I haven’t made it there yet, but a friend recently made the trip and brought me back some holy dirt. You see, this tiny church, located between Taos and Santa Fe, has long had a reputation for its miraculous healing dirt. Its walls are lined with crutches, Lourdes-style, and letters from people who claim to have used the dirt dug out of its sacristy to cure their ailments. Most rub it on affected areas and say prayers, though some are said to ingest it. The church discourages this practice and remains neutral on the question of healing. Yet still the pilgrims come. Unlike many other places of pilgrimage, El Santuario hasn’t replaced its sweet, simple church with a grand cathedral, which is one of the reasons I’ve wanted to go there. 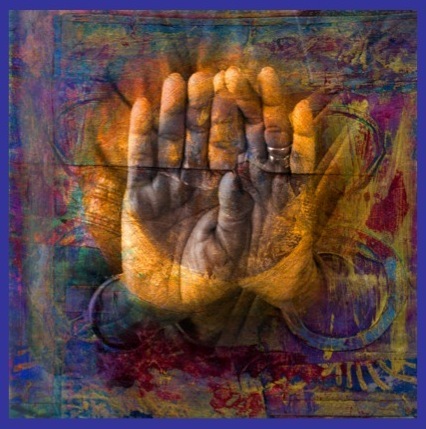 Tens of thousands of people each year make the trek, some walking during Holy Week from Taos or Santa Fe or even Albuquerque as an act of penitence and devotion, payback for answered prayers, or seeking blessings. Some are said to make part of the walk on their knees in a more extreme act of devotion. 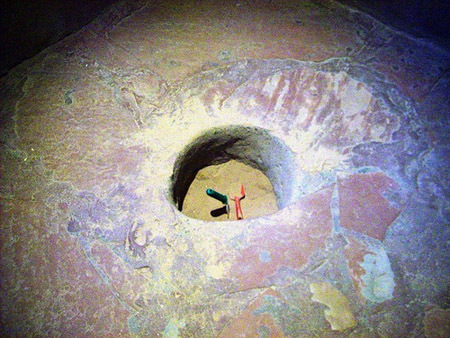 The dirt comes from a tiny well, call el pocito, and the thing is…it’s got to be refilled periodically from the nearby hills of the Sangre de Cristo Mountains because so many people come to scoop it out of the well: an estimated 25 to 30 tons a year. The pilgrims know this—the church doesn’t seek to hide it—and believe in the dirt’s power anyway. My friend, knowing my interest, brought a plastic baggie of it to me. I mean no disrespect by calling it holy dirt—the church itself refers to it that way on its website, where you can buy folk art and receptacles to hold it. The dirt itself is very fine grain and reddish-brown, containing tiny pebbles, and resembles nothing so much as brownie mix with chopped walnuts. I had to resist the urge to dab my finger and take a taste. 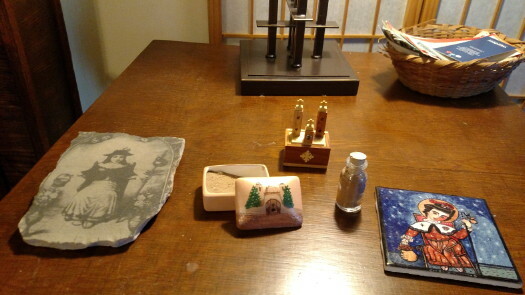 I love folk art, and I admit to buying some of their chachkies, some to hold my dirt, some just because I liked them. I’ve never witnessed the pilgrimage to Chimayo, nor any of the acts of devotion associated with it. 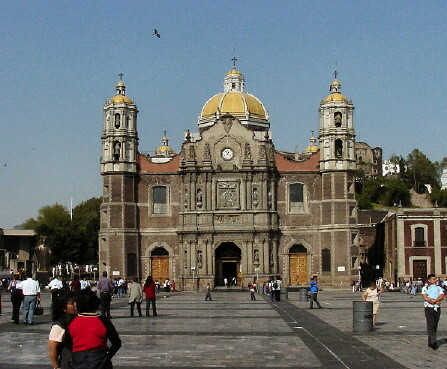 But I did witness such acts at the Basilica of La Virgen de Guadalupe in Mexico City. I saw penitents crawl across the cobbled square in front of the church on their knees, heading towards the steps, up the aisle and to the altar. I saw a man and a woman. They were both older, maybe in their fifties or sixties. 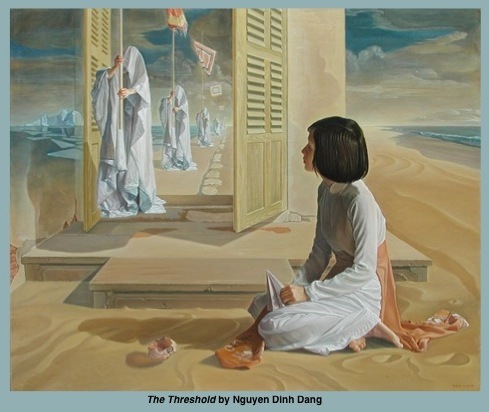 The woman wore a dress and kneeled on a cloth, pulling it forward with each “step” she took on her knees while family members hovered around with anxious faces. The man had only his pants between him and the cobbles. Both the man and the woman wore looks of pain—but determination. They would make this knee-walk of devotion. I was 18 at the time and remember thinking they were crazy, that I would never make such a pledge to a deity, certainly never carry out such an act of devotion. I’m older now, and although I still would not make such a pledge (my knees would never hold up, for one thing), I no longer view their devotion as an act of insanity. These were ordinary people, maybe long time devotees, maybe touched for the first time by the awful and wonderful hand of deity. They made a sincere promise to that holy being and were trying with all their hearts—and their knees—to be faithful to that promise. How can I mock such faithfulness, such sincerity? I’m old enough now to know that I can’t mock them without doing damage to my own soul, my own seeking after truth. And so it is with all pilgrimages, whether I share the belief of the pilgrims or not. I must respect their sincerity and their peaceful attempts to fulfill their promises to something beyond themselves. You are currently browsing the archives for the healing	category. WordPress 5.1.1 and delivered to you in 1.052 seconds using 34 queries.